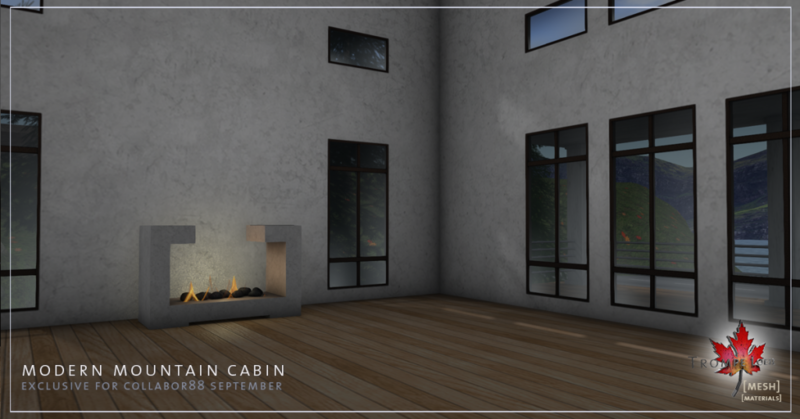 The 8th of September is absolutely autumn – stop by Collabor88 and celebrate the changing seasons with two of our nicest materials-enabled items yet! 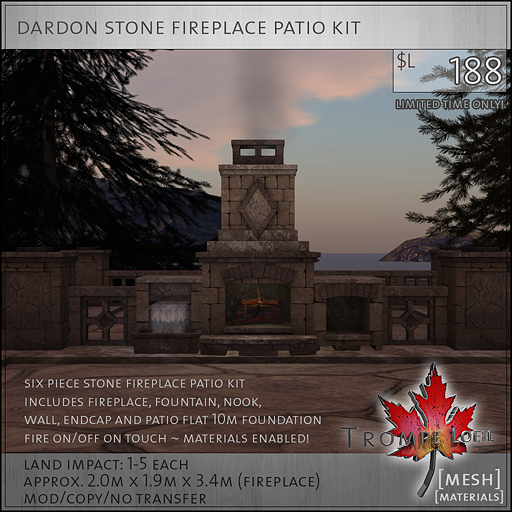 The Dardon Stone Fireplace Patio Kit is a six piece, materials-enabled set that allows you to easily craft lovely patio settings with ease. 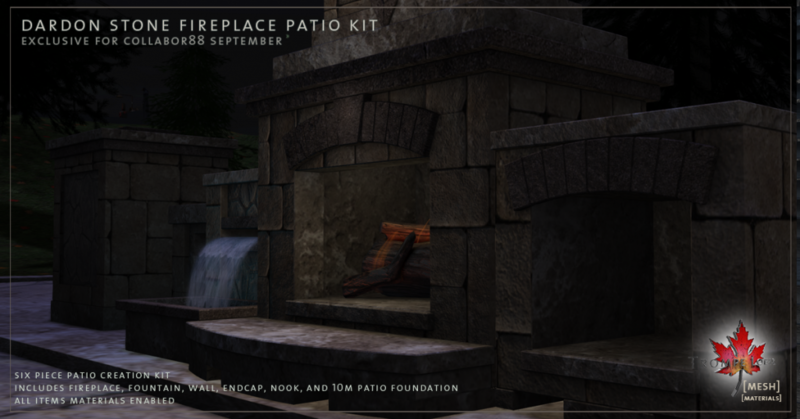 We’ve included a Fireplace with touchable on/off fire/lighting/smoke, Fountain and Nook pieces that fit perfectly beside the Fireplace, a detailed low Wall piece, Endcap piece to finish off corners and wall sections, and a 10m Patio stone you can resize and use as a matching foundation for your masterpiece. 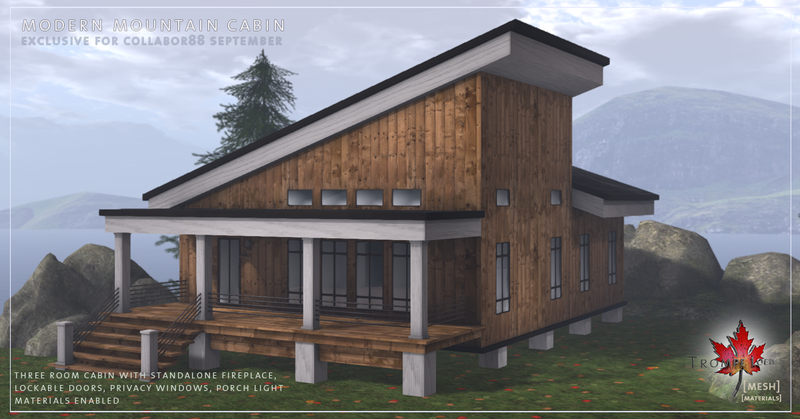 Only $L188 for September at Collabor88! Don’t forget our monthly prefab! 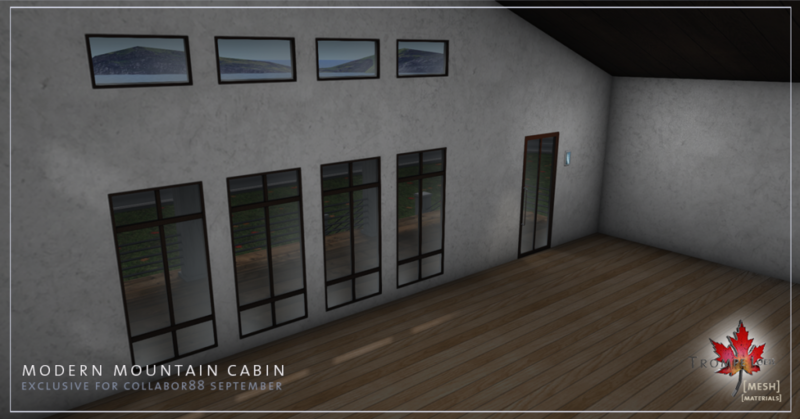 The Modern Mountain Cabin is a three room getaway, materials enabled, with included modern fireplace, privacy windows, our *home control system, porch light, and tons of style. Only 41 land impact! Check out the walkthrough display at Collabor88 today!